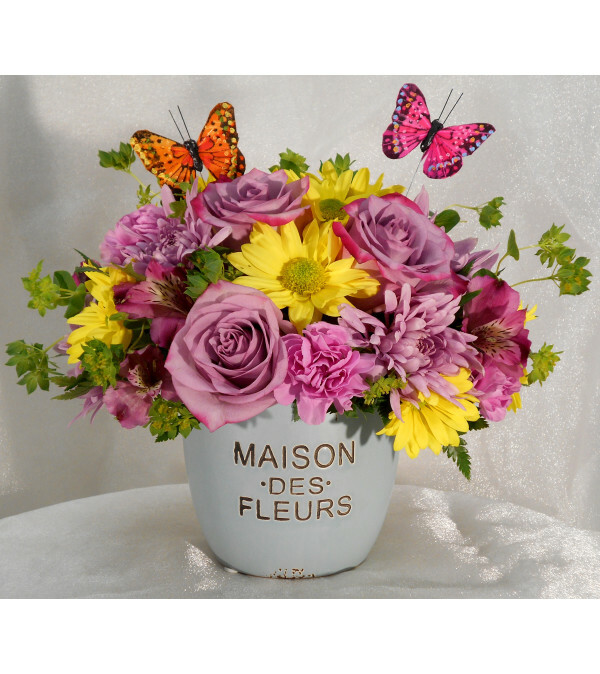 Revel in the vibrant splendor of this arrangement as you let your mind wander through the streets and markets of Paris in the Springtime. 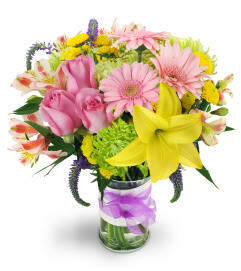 Lush mauve roses and mini carnations are artfully blended with yellow daisies, pink alstroemeria and bupleurum. All combined in a robins egg blue ceramic container, and topped off with two carefree butterflies. 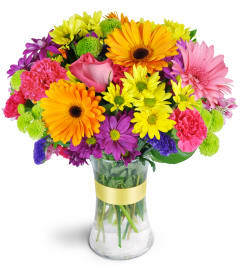 Let this beautiful arrangement help your spirit fly to the lovely gardens of France.